BAY TREE DESIGN and Siegel & Strain Architects worked effectively and thoughtfully with the school to assess the feasibility and benefits of moving their current campus to a new location. 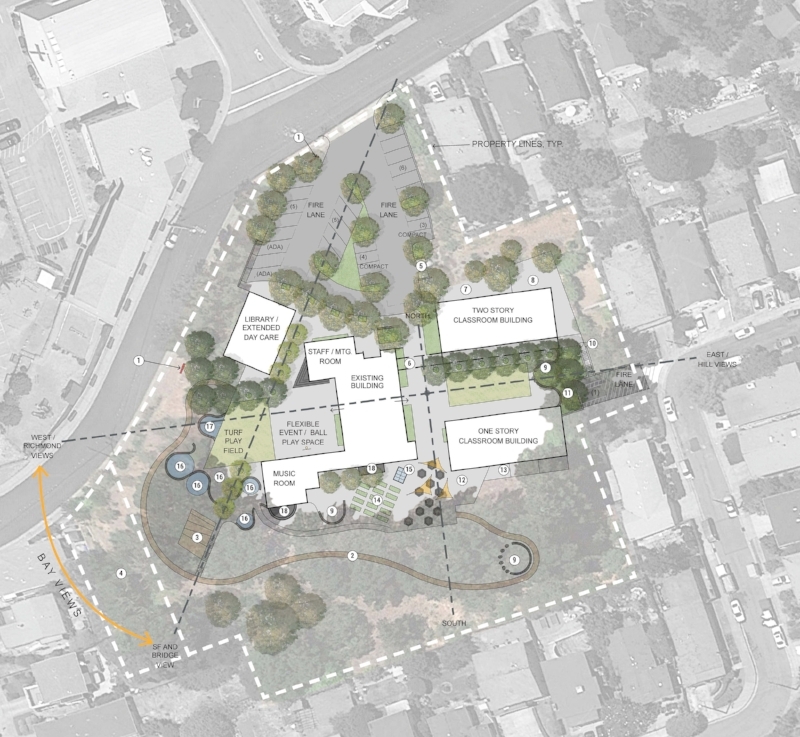 The project focused on developing a master plan for the new site with a participatory process. The design team developed options that studied using the existing structures, adding buildings and construction phasing while working collaboratively with faculty, staff, students and the school community. Each option was cognizant of the school budget while providing site options that reinforced and supported the in-depth programming, community structure and school values of collaborative learning, arts and ecological literacy.